Joshua D. Peters Smith, M.A. Described as a prodigy and a prophetic intellectual, Prophet Joshua Smith is a multifaceted individual who is gifted in many areas as an author, speaker, pastor, prophet, life coach, mental health therapist and Christian counselor. His purpose is to help others discover their purpose and maximize their full potential. 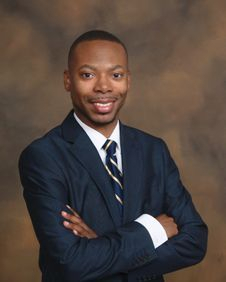 Joshua holds a bachelor’s degree in psychology, a master’s degree in professional counseling, is a certified pastoral counselor, and currently works as a certified mental health therapist in the state of Mississippi with over eight years of experience in the field. Joshua is currently pursuing a doctor of ministry degree with an emphasis in leadership. As an entrepreneur, Joshua is the CEO of J. P. Smith Enterprises, which is the parent company of a host of other businesses, products and professional services including a Christian counseling practice and the Dream Again Mentorship Institute, an avenue he uses to coach, train and mentor dreamers and visionaries. Joshua is also the founder of the Soul Healing Initiative, a forum focused on emotional healing, health and stability, psychoeducation, advocacy and mental health awareness through events such as “A Night of Soul Healing”. Joshua is the founder and president of Joshua Smith Ministries, Inc. and has been active in ministry for over 18 years (since the age of 12). Joshua is also the founder and apostolic planter and currently serves as Lead Pastor of House of Healing Christian Assembly, a non-denominational church founded in 2016 in Gulfport, Mississippi. Equipped with the gift of healing, his unique ministry approach enables him to speak from a psycho-theological perspective in order to bring complete healing and wholeness to the hearer in all areas (body, soul and spirit) while helping people find purpose and navigate through crises and difficult times. He has previously been featured on popular religious networks including The Word Network, Preach the Word Worldwide Network, Radio 1000, The Impact Radio Network and a host of other radio and television programs. Joshua is also the acclaimed author of "Dream Again: The Journey Toward Destiny", "Encourage Yourself" and "The Other Side of Rejection: Healing The Damaged Soul". Joshua is a formally educated and credentialed life coach, noted for his ability to help thrust individuals out of the ordinary and familiar, and into their destiny, purpose and potential. This skill and God-given ability has earned him the title, “The Dream Coach” in many coaching settings. Learn more about our pastor at www.thejoshuasmith.com!